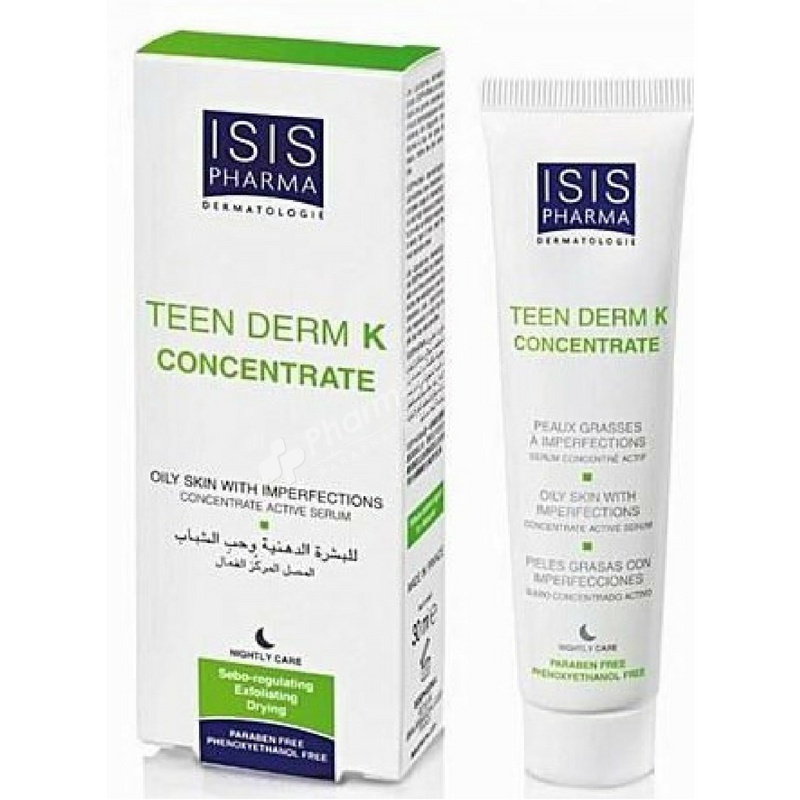 ISIS Pharma Teen Derm K Anti-Imperfections Concentrate helps to eliminate spots and blackheads. Association of [α-PURE®] complex and powerful keratolytic agents for a superficial peeling effect. Imperfections visibly reduced. TEEN DERM® K concentrate, mild to moderate anti-imperfections concentrate helps to eliminate spots and blackheads. Association of [α-PURE®] complex and powerful keratolytic agents for a superficial peeling effect. Imperfections visibly reduced. Smoother skin texture. Clean and fresh skin. Light and non-greasy texture. Matt finish.